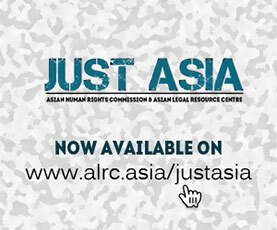 The Asian Legal Resource Centre (ALRC) would like to raise the issue of enforced disappearances in Bangladesh before the Human Rights Council. The situation has only deteriorated, without any possibility of improvement under the incumbent government. The ALRC, in its previous written statements and oral interventions to the Council, has reiterated the problems central to the crime of enforced disappearances. Bangladesh’s law enforcement agencies have disappeared at least 432 people under the incumbent government between 1 January 2009 and 31 July 2018. The Detective Branch (DB) and the Counter Terrorism and Transnational Crimes Unit (CTTCU) of the Bangladesh Police, the Rapid Action Battalion (RAB) and the Directorate General Forces Intelligence (DGFI) are allegedly involved in the abduction and disappearance of people. The law-enforcement agencies continuously deny their involvement in abducting and disappearing citizens. However, weeks or months after the disappearances, nearly one-fourth of the disappeared persons are found detained in prison, embroiled in various fabricated criminal cases. There are many individuals who have never dared to speak of their experiences after returning home. Bangladesh’s police systematically refuse to register complaints regarding enforced disappearances. They insist that the name of the law-enforcement agency be withheld in the complaints. The police also compel the complainant to replace the term “disappearance” with “kidnapped by unidentified miscreants” or “found missing”. As a result, the denial of access to the complaint mechanism by the police is the primary hurdle faced by complainants. Seeking justice without having proper access to the complaint mechanism is clearly impossible. Furthermore, complainants and families of the disappeared continuously face intimidation through physical and digital surveillance by the police, RAB, and the intelligence agencies. Complainants face similar challenges at the Magistrate’s Court, where registration of a complaint requires the mandatory assistance of lawyers. Lawyers do not want to step forward to challenge law enforcement agencies, due to various reprisals. The Police, as the statutory crime-investigating agency, do not conduct investigations of the complaints filed with the police stations or with the Magistrate’s Courts, except one case of disappearance of seven people in 2015. As a result, there has been only one prosecution of perpetrators in the last ten years, for committing enforced disappearances and subsequent disposal of bodies. Around ten Habeas Corpus writs were filed with the High Court Division of the Supreme Court since 2009. The High Court issued Rule against the bureaucrats and officials of perpetrating agencies of the specific writs, asking them to respond to the Rule. Meanwhile, the Office of the Attorney General denies any involvement of the perpetrators of the law-enforcement agencies in disappearing people. The Court also complies with the Attorney General’s suggestions, and refrains from holding the perpetrators accountable in the cases of Habeas Corpus. Since 2009, the Supreme Court has never ordered the State agencies to produce people whose whereabouts remains unknown following their abduction by law-enforcement agencies. As a result, the progress of the cases has been zero. Bangladesh’s Prime Minister Sheikh Hasina claimed in a parliamentary speech that the enforced disappearances occurring in Bangladesh is not new, but something that has occurred throughout world history. According to her, disappearances also occur in Britain and the US. She claimed that “275,000 British citizens disappeared” in the United Kingdom each year, and a much higher number in the United States. Such remarks to justify enforced disappearances not only impede the environment of seeking justice, but also inspire the perpetrators to commit the crime with impunity. In these circumstances, Bangladesh’s justice institutions only function as per the wishes of the incumbent government. This reality denies any chance of justice to victims of rights violations. The ALRC has consistently informed the United Nations Human Rights Council and the Working Group on Enforced or Involuntary Disappearances (WGEID), about the complex realities of Bangladesh concerning enforced disappearances. The Council and the independent experts need to comprehensively understand that the government, which adopts the policy of disappearing citizens, denies the alleged disappearances, justifies the crime, guarantees impunity to the perpetrators, harass and intimidate the complainants and relatives of the victims, and prevents access to the justice mechanism, is responsible for enforced disappearances. While such a government is in place, justice for enforced disappearances through the domestic justice institutions is impossible. Furthermore, the ground realities of gross human rights violations are being covered up behind the crisis of Rohingya refugees that Bangladesh has sheltered since September 2017. The Council needs to ask whether a government is eligible to walk free for a ‘crime against humanity’ by hiding behind another such crime committed by a neighbouring state. The ARLC urges the Council to create a mandate of Special Rapporteur on Bangladesh to monitor the human rights situation of the 160 million people facing serious forms of persecutions.